Do you remember the original Dairy Cookbook that the milkman sold? Dairy Diary is offering 10 copies of the latest edition of this iconic book, each worth £10.49, to give away, and this is your chance to win! 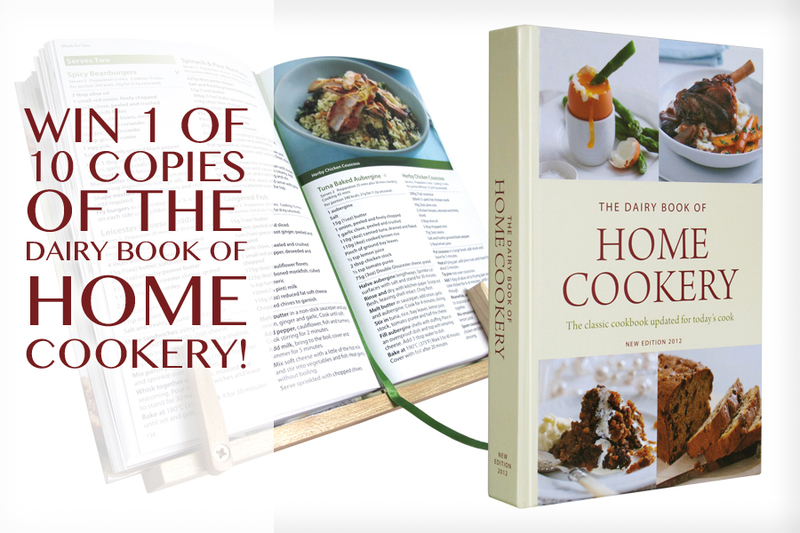 The Dairy Book of Home Cookery has sold over 3 million copies since its inception and is (according to a BBC Good Food poll) one of the most trusted cookbooks of all time. Even John Whaite winner of Great British Bake Off cites it as one of his inspirations when he was growing up. This edition retains readers’ favourite recipes and also introduces new classics, and is laid out in an easy-to-read format with beautiful photography and a ribbon marker. It guides cooks through all the essential cooking techniques and covers everything from soups to sauces, dips to desserts, pastry to pickles and curries to cakes. There are over 900 recipes, all with straightforward instructions and featuring nutritional content. Each recipe gives both metric and imperial measurements and shows if it is suitable for freezing. The Dairy Book of Home Cookery is the one cookbook that every kitchen needs. Culinary trends and celebrity chefs may come and go, but this book is an ever-reliable kitchen staple. This cookbook is published by the makers of the famous Dairy Diary, find out more here www.dairydiary.co.uk. Wow I've won, & congratulations to all the other winners too. The old cook books are the best, no cauliflower foam or some of Hestons inventions.Bring it on.!! Great prize! Tried to buy one locally this year, and were all sold. 66 and have not seen this book! My mother was not a good cook and would not experiment with anything new - heaven forbid. I enjoy cooking/baking and trying new recipes but usually return to the old favourites. I have an old copy of this... it was a present from my mother many years ago. I now live in France and love to share English recipes with my French friends! Still have and use a copy from our milkman years ago! Still use my Bero book. A lovely update on a classic. 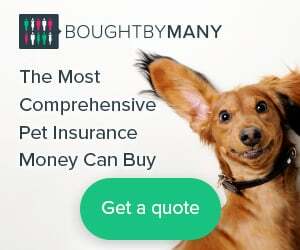 It would replace the one lost in a house move and so missed. My grandmother and mother had one along with the Be-Ro and WI ones. I'd love a copy. I had the original as a present, then bought one second hand and gave it to one of my daughters in law. Still use mine regularly but it's getting tatty at nearly 50. Just the thing to complete my kitchen library! I think I might have had one of these many years ago but not now. If it is good enough for a winner of Bake Off then it is good enough for me! Would be interesting to see and try the newer recipes too. i learned how to bake with this book, i loved it. Used to get these every year! I had this and used it often when I first married. A real stand by in kitchen. Love it, and taught me all my basic recipes. Aunt bought me mine when I married 40 years ago. Still in regular use! I still have the original but it is virtually in pieces. Would be good to replace my very old copy which I got from my milkman years ago! Would love this as even at my age I can learn new things. I got the first one via my the milk man, when I was living at home. I also got the Dairy Book of Home Management which I still have. The Cook Book I passed on to my niece who uses it regularly and thinks it is amazing. I did get an updated version years ago that has microwave instructions. A new copy would be amazing! Ooh yes please, love it and bet there's some real good tips in it too. My copy is from 1978....think I'm due due a new one. I remember my mum having a copy of The Dairy Cookbook that she bought from the milkman. I have always wanted a copy and have never found one, so would love to win a copy. Thank you. I am still using my original one from 1970! Oh happy days a pint of milk on your doorstep and a cook book too. I have always loved my Dairy cookbook and so a new one would be fantastic! My mum bought me this book and I still use it all these years later. It's falling to bits so an upgrade would be great. Look forward to finding something new. Have 2 very old ones. I can remember my Mum getting this book and she loved it. As a Food teacher always found it to be a very useful book and used often with the children . I I remember buying this from the milkman when I was first married! Sold countless numbers of these when I was a Milkman, plus the Dairy Diaries which were also full of recipes. I have one inherited from my Grandmother, which is used on a frequent basis for any great recipes. Used to get one of these every year from my milkman! My mum had one of these when I was a child ! I still have and still use the original Dairy Cook Book from back in the 70's, definately needs replacing. My husband was a milkman and used to sell these. I would love to win one as a souvenir of those days. Newly Wed I learnt how to cook my first meal following a recipe in this book. I used the first milkman diary to help me cook it told you the measurements in weight and the temperature of the oven was cooking at age 7. I used to purchase this cook book each year from my milkman so would love to win a copy. I have just scrolled through the comments it is lovely to read how popular it was. My current Dairy Book is over 20 years old, so I'm due an update ..
My copy is coming up to its half century - and is still holding together....In fact it's probably in better 'nick' than it's owner, all considered!! I bought this every year when it came out. Great recipes. I have had a Dairy cook book,for over 40years,and still refer to it most weeks,its basic but perfect for me, just love it. Still use my old one! Still have mine too well worn and well loved recipes that you never tire of making that memories are made of. I missed out on this. Perhaps it will assist in my repertoire and be thoroughly enjoyed by all. I still have my orginal, very dog-eared, copy. Would be great to have a new 'old' one. I have one of the Dairy Cookbooks from 1978, a year after we married, and still use it to this day. A bit battered ( quite literally from making pancakes and toad in the hole...) and dog earred but fantastic recipes. I couldn't replace all the memories used in having wonderful tasting food but a new copy would certainly be most welcome rest for my old book! Congrats to whoever wins one! Loved this book the first time round, used to refer to it a lot for the recipes. I am sure I will find something new to wet my appertite. Got an original from my Mam. Printed in 1968. Don't think the kids of today could use it as all the measurements are in imperial. My mother had one but my sister got it,I need one . Loved this cookbook, wonderful recipes that can easily be followed. Loved my Dairy cookery book. Lost the original years ago. never had one ,but really like one now . Use my Dairy cookbook regularly, lovely recipes. I have all my dairy diaries going back to 1986, apart from a couple of years when we lived abroad. I am so glad I kept them and love re reading them. They are great for reminiscing about past holidays, the kids growing up etc. I still have a Dairy diary and fill it in every day! Remember them well but never did have one, here's hoping! Still have one of them maybe more . My Wife would love this book, one of her favourite pastimes is reading cookery books. Never too old to learn a new recipe! We always had a copy handy when we first got married!! Real food...Great! Thanks for the chance. I still use mine! Not every day but I have certain favourites. The Christmas pudding recipe is always a hit with everyone. I still have mine from years ago. We still use ours. We bought one each year. My Mum lost her copy during several moves but still talks about the lovely recipes it contained. I have still got the original book that the milkman sold. I still have the original. I love the Dairy cookery books. This would make a great addition to the kitchen,as long as I can keep the daughters hands off it or it will be in her kitchen more than ours . I love this diary. So informative and great recipes! Would love to win ,my granddaughter loves cooking I would love her to have this book . It would be great to win one of these, I have a very old one. I've got an old one my mum used to use, I use it too but would like a new one please . I still have mine, very battered and very tatty but it has favourite recipes in so can't do without it! I got mine in about 1978 I think. I use the original one constantly. Hence it is sadly falling apart! My mum used to get this every year! i loved this book that the milkman used to deliver.loved the recipes. Never heard of or seen this book before, so would quite like a closer look. Kx. Had my Moms book for years, it somehow got lost during house move. Had the very first edition of this brilliant book! Ordered one every year, then cut out any recipe I liked and still have them. Loved this diary. Mother-in-law gave me one for Christmas every year! I used to buy this Dairy Diary every year. Didn't realise they were still on the go! For my daughter, who can't boil an egg, she's only 45! My lovely milkman gave me the original book together with the dairy book of home management. I loved those books and used them all the time, but they unfortunately got lost during a house move. It would be great to have the new one. Have my original copy but very much the worse for wear, it truly has become my kitchen bible so a new copy would be wonderful. Have had my copy for over 35 years and it's looking rather battered now! My late Mother used to be a Milk Lady getting up real early in all weathers. I remember us having one of these Dairy diaries every year and they had some great recipes. Remember these from way back in the 70's i did have 2 but they were lost years ago fantastic tips & recipes . As a young wife and mother I found this book to be invaluable. Now I am older but would still like to share this book with my youngest daughter who cares for me and still lives with me. My wife loves this book ! I have 2 of the original yellow books. Well used & very tatty now. Would love a new one. I've still got some of these books and stil use them would love to win this prize! Still got mine bought from our milkman. This was my bible as a young mum; gave it to my son when he left home to set up on his own, it had so much useful information in it apart from recipes. Good prize, I forgot to order mine this year. My daughter has always wanted my original copy, now very ragged round the edges. Would love to present her with the new updated version. Our milkman no longer calls! I would love to own this book again. I loved the original and gave my copy to my daughter whe she set up her first home a few years ago. It has so much useful info in it I'd love another one. Many years ago I was a milkman who sold and delivered these books to my customers. I never had one myself but would love to have one now as I am now single and need help in cooking. Would really appreciate one of these. Use to love them years ago. Would love to win one of these books remember buying one from the milk man back in the seventies. It's one that my wife doesn't own. I have one of these cookery books from 1983, it was bought as a moving in present when I got my first home! I still use it to this day. It would be interesting to compare it to today's version to see if it has changed from the 80's edition. Only recently I was thinking about these books and wishing I still had one. Remember this well, would love to win one. I would love this cookery book , it will be well used. My Mum worked for the milk marketing board so we always had these wonderful diary cook books immediately they came out. I've still got my old one but it is held together with yellowing sellotape so could do with a new one - fingers crossed! I use a very old copy and my sister does too. Great recipes. I still have my "dairy" cook book bought in the 60's, I use it all the time, would love an updated edition but I doubt I would get rid of my old faithful. Love my Dairy Diaries ! Have got them back as far as 1989 ! This would be a welcome addition to my kitchen library! My Mother in Law used to buy Dairy Diary every Christmas and like Skinny Lizzie my one has no back to it now, the others were donated to my children many years ago. I'd love this as I've still got the original but it's been used so much it's falling to bits!! Best cookery book ever. Mine got lost in a house move, would love another one. I've never owned one of these, but milk is my absolute favourite, so it would be great to find out all of its uses! I think people are getting the" daily diary" mixed up with the "dairy book of home cooking". Both were sold by the milkman. Mine is the Dairy Book of Home Cooking.......the recipe for scones is the best I have ever come across. I used to love my original one which disappeared about the time my daughters left home for universities! Hmmm could there be a connection? We still use the original, purchased from milkman in 1970. It is getting battered! (ha ha) now and stained. Bought second edition, it's not as useful as original so got rid of it. Good condition second hand original editions are quite scarce and expensive. I would like to see the third edition before I bought one. I had the Dairy Diary from my Milkman just after I got married in 1969. I still use some of their old recipes today. Finest cook book around. I dont remember this book, but it certainly sounds like it was popular and I'd love to own one. I still have the original and use it regularly. How odd...I was thinking yesterday how much I missed my yearly New Years gift from my Mum from years back. Yes ..the Dairy Diary ...so useful when I was a young Mum. I will surprise the Miss's if I'm lucky to win, you should see her when she smiles. Remember my grandmother having one of these cookery books and enjoying lots of memorable food. I still have the original and still use some of the recipies! We still have our milk delivered and I would LOVE a new book! I remember taking my Mum's copy to my domestic science lesson at school. My teacher then when out and purchased her own copy. I loved these cook books when I was young! Fingers crossed for winning one. Since we no longer have milk delivered, don't get the Dairy Diary...such a shame! I recall my late mum using this cook book, such lovely memories. As a young boy my Mum taught me basic cooking from this recipe book. Her copy, which I now have is falling apart and stays together thanks to my messy splashing of eggs and flour. A new copy would help keep my memories of those distant days alive. I still regularly use'The Dairy Book Of Family Cookery' published in 1983 and Clever with Cream from the Milk Marketing Board from the 70's love them. I remember buying from my milkman. it is a cook book I had completely forgotten about, looking forward to receiving a copy. Had this many years ago. Brilliant.It was one of the books that I used at Cookery Classes. Always used to get one of these. Would bring back good memories. I have recently retired, and started baking and cooking with my granddaughter, this book would be great, and create memories for my granddaughter. I still have a really old one that my mum used, it has writing all over it. Now she is gone, it gives me a little bit of her back when I use it. It would be really nice to have a new one though. I always remember my mum getting one from the milkman. My Dairy Book of Home Cookery is the 'new' edition for the 90's. It is my most used cookery book. I hope I am lucky in the prize draw! Still have one of mum's Dairy Cookery Books from the 70/80's. It's been well used as it has been passed around the family quite a bit. I loved this cookery book that my mum bought so many years ago. It is one of the things that helped to love cooking. I still do! I still have my Dairy Cookbook from the milkman (cost about 2/6d) over 40 years ago, repaired with tape but it is still the Cookbook I refer to the most. I remember my Mum getting these, and cooking some lovely meals from them, would love one now. I sold over 150 of this book when I was a milkman with Express Dairies over 25 years ago but failed to keep a copy for myself. Would love to win one now. Used to get the Diary each year but never had the cookbook, would love one now. Thank you. It wad always a brilliant cook book and the new version will be sooooo welcome ! I remember this book from childhood. I found the original one good when I was starting out in life as a child . So missed it when I left home . Loved the diary and also loved the cookery book. I still have one, its a bit battered now but still in use! I worked in the dairy industry for 30 years and would love this book to pass onto my grand daughter who loves cooking. Love home cooking and this was always one of the best books to get my recipes from. We still have a milkman around this area and can enjoy waking up to the sound of the rattling milk bottles in their crates. Oh my goodness I remember this book well, still use a few of the recipes. It is an iconic book and would be a great asset to any kitchen today. I still have one of these. My dad was a milkman and sold these for MMB. Great books. My original copy is getting a bit tired after 46 years of constant use! I used to collect these. I always used to buy the dairy diary each year it had lots of nice recepies in it and lots of interesting information. I have two Dairy books: Home Cookery and Home Management (1980), both well used and well loved. My old one is my "bible" for all of my basic recipe needs. The original book was very well used in our house. Have one that I took abroad with me, have some lovely recipes I still use. I use this fantastic book all the time and would love an updated version. Fingers crossed. Love my old dairy cook book, it's a bit worse for wear these days, its about 25 years old. I could do with a new addition. Have an old copy of this book. Would love the new one. I loved this book, so useful. Still have a copy, the only thing my children have not got their hands on!! Lol. Would not part with it. Had 2 or 3 of these books, lost them in a house fire. Still use My Dairy Cookery book that I bought from My milkman in the 1970s. I had one of these when I first got married, a lifetime ago. It fell apart due to being used so often They were brilliant books for newly-weds. I have nearly everyone of these cook books, I love them. My father started buying them for me he was a milkman and used to sell them. I would love to win one of the new ones. My Mother in law used to buy one of these for me each year.........great memories ! I have 2 of these dating from 1970s. Have referred to them so many times over the years. Never let me down. I still have a battered, original copy, that helped me learn to cook when I married in 1970!!!! I would just love one. I Just loved this book. Always got it from the milkman!! Didn't realize it was still being printed... It looks so different! I have one - plus an older one that was my mothers I would love an up to date one that hasnt got cake mix on some pages!! Yes remember them well from the 70's. still have two. Still using mine from 1983! It would be interesting to see how it's changed in 30+ years. My dad was a milkman and had these. I would love a copy please. Wow, I never had a copy when they were out before. Would love one now,please. Lost mine years ago. Would love a copy. I still have the one my Mum bought for me before I left home aged 18. The spine is coming off and it is a bit stained here and there but I still refer to it regularly. It would bre lively to have a new copy. I used to have one, but it was lost several house moves ago. This is fantastic. As a soon to be 65 year old man taking my first faltering but generally reasonably successful steps in cooking - rather than reheating chilled or frozen - I would find this book a useful addition to my kitchen library! Good luck to everyone who enters. I loved my old one, used it a lot but it didn't make it when I moved, my ex kept it, I would love to have another. My memory isn't so great at remembering the amounts any more, so having a new book would be a big help. Would love a more up to date edition. I've had a couple of the editions of the Dairy Book of Home Cookery over the years. Fabulous recipes. Would love this as my original book is dropping to bits as I use it regularly. My friend borrowed mine and I never got it back. I loved cooking things from that book. I have the original, still regularly used and repaired. Many family favourites. Would love an up to date copy, still using the original ones!! I still have the original book! I loved my dairy diary, and would love this book ! Was given my copy in the late 1970's by "Mary from The Dairy" as we used to call her. The lovely Milk Marketing Board Demonstrator who used to visit schools, WI etc to demonstrate amazing everyday easy dishes. We loved her visits, as all food she made was left in school for my pupils to sample. We always had a sit down meal with all of my pupils. The book is only one of 2 I use regularly alongside Mums trusty BeRo book. Wood love to have an up to date version. HAppy memories ahve come flooding back. Whoops spelling errors...apologies wood should be would and a transcription error..ahve should be have. Apologies folks. I still have an original copy, bit battered and pages stuck together. Great book. This Cookery Book sounds amazing. I love basic recipes much more than those concocted by the all too many Celebrity Chefs. For that reason, Delia is my favourite because they are foolproof. I've never seen this cookery book before and my dad was a milkman for years. Would love to get my hands on one. My mum had one right up on till she passed away 3 years ago aged 86. I used to buy it from the milkman at Christmas time. We 'lost' our copy a long time ago - it would be great to get one! Mine was given to me in the 1960's, I still use it, but it would be great to have a newer version, as it does look rather sad now........thanks for the chance! I loved this cookery book - it was the backbone to my families culinary delights. Unfortunately my adopted standard poodle enjoyed it a bit too much too. I remember my mother had this book - and she was a superb cook. Still have an edition from the 70s. My lovely late Uncle used to get me one every year for Christmas, miss him very much & miss the Dairy book. Lots of interesting items in it. First cookbook I ever bought and I still have it. Great to hear a new edition is available. I still use my original edition on a regular basis. Looking quite dog-eared now and would ❤️ to have a new copy! Have got an old Dairy Cook Book which I use very often, so often it is covered in food stains so would appreciate a new one! I had a big throw out of cookbooks when I downsized a couple of years ago but this one stayed! Wow !! How many years since the first one ? I remember buying one and using it constantly ! I have a shelf full of cook books but the Dairy cook book I have had since the 1970 and it's always been the favourite, as I get older I find I still need to refer to it even for dishes I have cooked many times over the years, just to check my memory is correct, would love an updated book. I'm still using my old one regularly, it's a bit dog-eared these days! an excellent cook book with simple easy to make meals just what an old bloke like me requires. Still have original but it's in sorry state so would love new one. Smashing book with lovely recipes! I have been trying to get a new copy as my copy is well used and falling apart. Such an easy, useful recipe book to have. Loved this book! And it saw both my sons through university!! Bought one of these in the late 60s when I got Married but it eventually fell to pieces many Years later. Loved this book! My Mum had it, went walkabout when she died. Would love a copy. I have an original that i use most weeks but it has certainly seen better days. I could really do with a new one please. I still have an original. It has very clear instructions with pictures for recipes, plus heaps of other information. I'd love to see what the new one looks like. I had the original it was one of my most used cookery books, def love another copy. Had one for years- loved it! 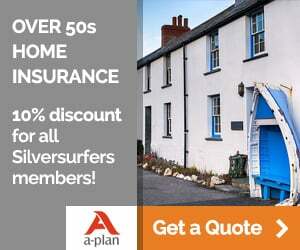 After several house moves have lost it - would love a new one. I still have one from 1977. I had one of these cookery books very many years ago and used it to the point of disintegration! Would love another! Fantastic prize, would love to win!! Still got the original. My husband was a milkman in 60s and 70s and he sold a lot of them. Best basic cookery book I still use. Have my mums copy well used and I'm nearly 71 would love to win this to pass on to my daughter. A cookbook even men can use! We always had this when I was young. Great book! My first Cookbook when married, it's travelled the world with me due to husband being in the Army. Bit worn and battered now. Used to buy this for me or my mum most years. Haven't seen one for a while but loved them . Really would love this new print of a super book. Mines looking a bit battered now! I have two of the old ones and use them regularly and updated version would be rather nice. I still have my copy of the original book, but ............. it's showing signs of age and use. Many marks and stains of food, but it is one of the most successful books to have an excellent result. Please may I have an updated and clean copy. I always bought a dairy diary off the milkman too! I have been buying the diary book and address book for eally nice recipes for you to try. I would love to own this excellent book. I remember that my mother used to have one yearly and Now so does my Mother in law. Fabulous Book I still have mine from the 70's -80's. Yes fab cookbook and still have the original!